Target the 3 skin issues that visibly age you the most, with results in just 1 week! 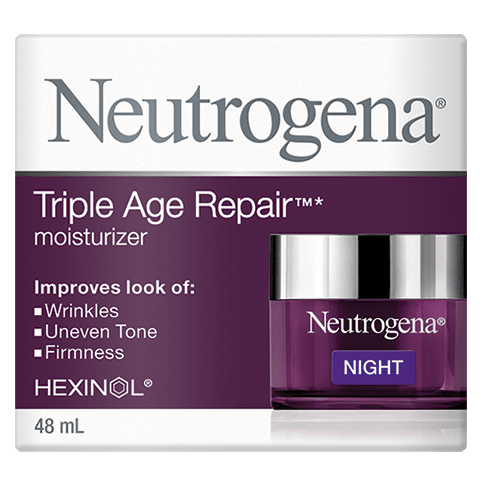 NEUTROGENA® TRIPLE AGE REPAIR® Moisturizer Night targets the 3 skin issues that visibly age you most for noticeable results in just 1 week! Formulated with HEXINOL®technology and vitamin C, clinically proven to help smooth the look of wrinkles, improve uneven skin tone, and improve skin elasticity. Every night after cleansing, massage evenly over face and neck. Avoid contact with eyes. For best results, use together with NEUTROGENA® TRIPLE AGE REPAIR ®Moisturizer SPF25. Water (eau), Glycerin, Dimethicone, Ethylhexyl Palmitate, Isononyl Isononanoate, Propylene Glycol, Steareth-2, Butyrospermum Parkii (Shea) Butter, Methyl Methacrylate Crosspolymer, Behenyl Alcohol, Hexylresorcinol, Steareth-21, Ammonium Acryloyldimethyltaurate/VP Copolymer, Dimethicone Crosspolymer, Caprylyl Glycol, Phenoxyethanol, Ascorbyl Glucoside, Sclerotium Gum, Mica, Methylparaben, Titanium Dioxide, Xylitylglucoside, Ethylparaben, Parfum, Propylparaben, Sodium Hydroxide, Anhydroxylitol, Disodium EDTA, Xylitol. 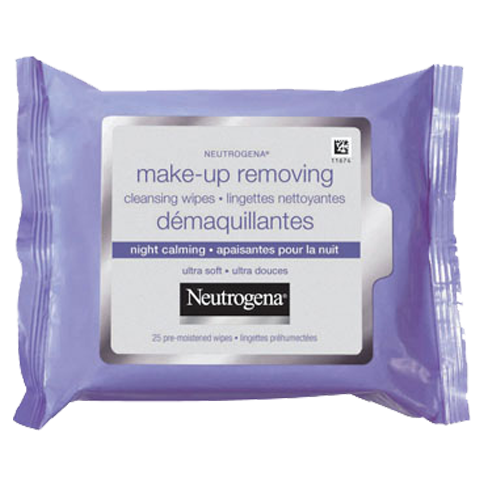 After 8 nights of using this product every time i would wash my face the next morning and my skin would become extremely dry and it would peel off. This product ruined my face and I had to buy many other products to try and fix the damage it has done. We're sorry to hear this happened! We wouldn't expect this type of reaction from our product. Please give us a call at 1-888-663-8876 when you have a moment so we can learn more about your experience and make this right. We're available Mon-Fri, 9am to 5:30pm ET. We look forward to helping you soon! I've tried several products and stayed with the Neutrogina products. Cleansers, night creams, and the Triple Age Repair is fantastic. Used these and more for over 15 yrs and swear by them. This product does what it says. 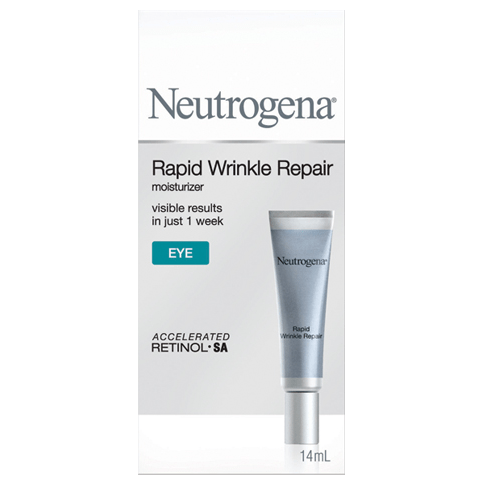 I bought the Triple Age Repair as a replacement for a Neutrogena product that had been discontinued. I love it! I wanted a night cream that would improve my skin appearance without causing irritation. I have noticed a real improvement, particularly along my jawline. I recommended this cream to an acquaintance and she loves it too.